A NUMBER OF Labour TDs have hit out at a proposal that tax exiles would pay money to charity in order to qualify for two extra months of residency in the Irish state. The Forum on Philanthropy is reported in today’s Irish Times to have suggested that tax exiles would get an extra 62 days a year in Ireland if they agree to pay €15 million to charity over ten years. This would bring their total number of residency days to 244. However, Labour TD Kevin Humphreys said this was not a lot of money and that the idea would likely annoy citizens. 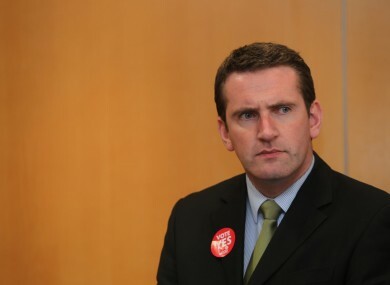 His colleague Aodhán Ó Ríordáin, a member of the Oireachtas Finance Committee, was even stronger in his condemnation of the idea. “It is high time that we began to describe those who claim Irish citizenship but decline to contribute to this country’s exchequer as tax traitors, and not just tax exiles,” he said, describing the idea as “pathetic”. The Dublin Bay North TD said that the most effective way for tax exiles to contribute to society was by paying their taxes, saying that a “softly-softly approach” was ”completely inappropriate” given the financial crisis in Ireland. “It is not about the photo opportunity, or the reflected glory, but it is your responsibility as a citizen of this Republic to help through the taxation system those who are less fortunate than yourself,” he said. Fellow Labour deputy Gerald Nash, who sits on the Public Accounts Committee, said the proposal is “stomach churning” and offensive to those who are tax compliant. “It doesn’t work like that for ordinary, hardworking taxpayers. Every week their taxes help to keep this country running and support vital services. Ordinary taxpayers do not expect nor do they receive a pat on the back for doing their basic civic duty,” he said. Read: Can you give 1 per cent (of your time or money) to a good cause? Email “Labour TDs hit out at 'stomach churning' approach to 'tax traitors' ”. Feedback on “Labour TDs hit out at 'stomach churning' approach to 'tax traitors' ”.